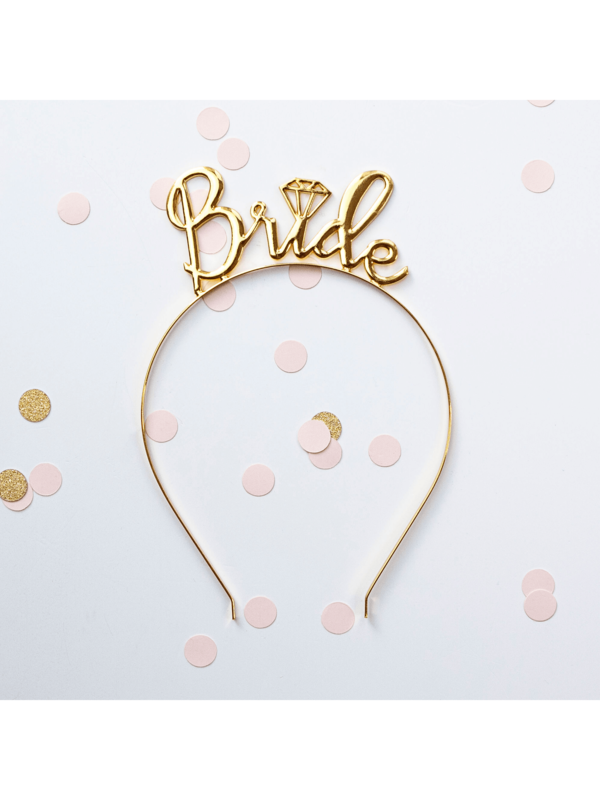 Irresistibly shiny, this elegant bridal headband makes a charming addition to any bride's hen party outfit. The delicate design is simple without sacrificing style. The flexible headband will keep this tiara comfortably in place all night. Available in gold and rose gold, pick the tiara that is perfect for the bride.